We understand that in the winter demand for both short and longer term care can increase dramatically with the colder weather. 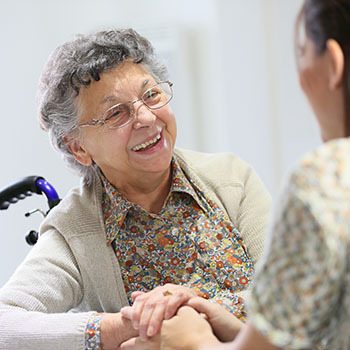 We understand the needs of health and social care professionals working with older people and know how critical it can be to find the right care home as quickly as possible for your patient during the winter months. To help our professional partners we offer fast and flexible assessments for people in a hospital setting to speed up the hospital discharge process. We are offering a 24 hour assessment guarantee* at one of our selected care homes listed below. *Read the full terms and conditions.